Jack Daniels Old No 7 Tennessee Whiskey is a popular Whisky available from DrinkSupermarket.com in 1l to buy online. 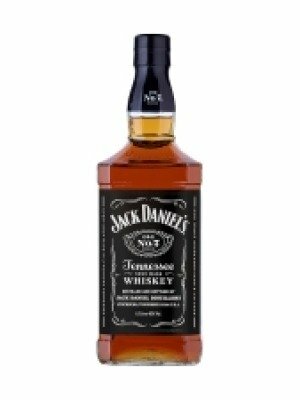 Visit DrinkSupermarket.com for the best price for 1l of Jack Daniels Old No 7 Tennessee Whiskey or compare prices on our other Whisky products. Every drop made in Lynchburg, Tennessee. Mellowed for smoothness drop by drop through sugar maple charcoal. Matured for character in our own handcrafted barrels. Tasted for flavour by masters until deemed ready. Awarded for quality and distinction 7 gold medals since 1904. Tennessee sour mash whiskey Here at the Jack Daniel distillery, we're proud to honor the independence & integrity of the man who established our distillery at the cave spring hollow. True to Mr. Jack's whiskey-making tradition, we still mellow our whiskey drop by drop and stand by Jack's charge. "Every day we make it, we'll make it the best we can." You can buy Jack Daniels Old No 7 Tennessee Whiskey online in most retailers and find it in the Whisky aisle in supermarkets but we found the best deals online for Jack Daniels Old No 7 Tennessee Whiskey in DrinkSupermarket.com, Tesco Groceries, and others. Compare the current price of Jack Daniels Old No 7 Tennessee Whiskey in 1l size in the table of offers below. Simply click on the button to order Jack Daniels Old No 7 Tennessee Whiskey online now.